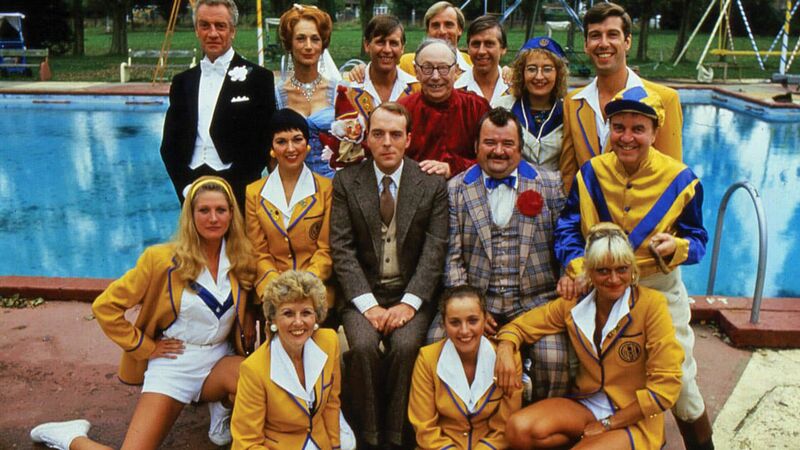 Here's where to watch every episode of Hi-de-Hi! season 8. Mouseover or tap an episode to see where to stream it. Click or tap the play icon to stream it on the best available service. Tell It To The Marines Nov 8, 1986 The shock departure of Barry turns his partner Yvonne into a recluse in her chalet, and leaves the entertainments programme one act short. The Perils Of Peggy Nov 22, 1986 The staff rallies round when Alec Foster sacks Peggy. But it seems as though nothing can be done to save her job. Let Them Eat Cake Dec 6, 1986 Fed up with Clive's irresponsible behaviour, his entire family turns up at the camp to try and talk some sense into him. Wedding Bells Dec 13, 1986 Spike thinks the staff should do something special for April's birthday. But with Ted organising the occasion, things are unlikely to go as intended. The Wind Of Change Dec 27, 1986 Ted has a new love interest: a young pianist whom he plans to marry. Elsewhere, Julian is hoping romance will blossom for himself and Yvonne, and takes her to visit his farm.